From dukkah to mammoul, sujuk to zaatar, Middle Eastern cooking is full of unique ingredients and brilliant flavours that make for one of the most delicious cuisines out there. There's a lot on offer and admittedly it can be hard to navigate through all the spices, flavours and dishes on offer, so we headed straight to Murrumbeena's Oasis Bakery for their expert tips and inside info. A bakery, cafe and grocery store in one, Oasis Bakery is a haven for anyone who calls themselves a foodie. 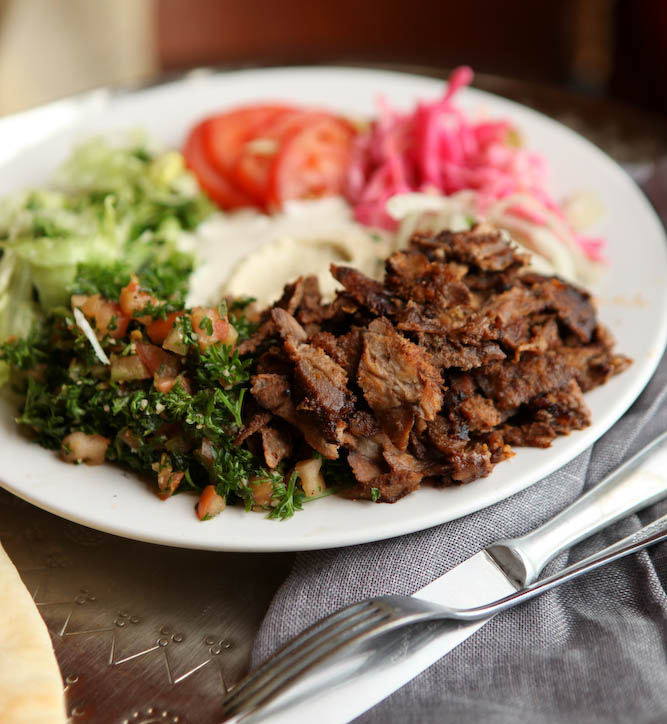 They offer everything from traditional breakfasts and lunches at the café, to catering and hampers, and cooking classes, not to mention every ingredient you could ever need – yup, they're the go-to destination for Middle Eastern cuisine in Melbourne. What do you get when you mix custard with pancakes? Atayef Bil Ashta, a traditional Lebanese dessert and pretty much one of the most delicious Middle Eastern dishes we've ever tried. It's not just lunch and catering that Oasis Bakery offers – their breakfast menu is super delicious too! Get stuck into the Big Lebanese Breakfast (scrambled eggs served with sujuk foul medammas, labneh, olives, grilled halloumi, cucumber, tomato and pita bread), Date and Walnut Heaven (house baked date and walnut toast, Iranian fig and organic blueberry jam, and vanilla mascarpone) or our favourite, the Turkish Poached Eggs (poached eggs coated in dukkah, spiced bean tajine, and sumac yogurt). Drool away! From your standard flat white to a traditional Turkish brew, Oasis Bakery has some killer coffee options that are worth the drive. Their beans are supplied by Rosso, a local Melbourne coffee roaster who roasts top quality arabica beans, making for a rich yet well-balanced cup of coffee. So. Damn. Good. Made from a mix of herbs, spices and nuts (traditionally hazelnut), dukkah can be used in all sorts of Middle Eastern dishes. Sprinkle it on your scrambled eggs for brekkie, coat your meat in it for dinner, or even mix with olive oil to make a simple yet oh-so-flavoursome dip. Oasis Bakery's spin on one of the most popular Middle Eastern desserts, Emma's Baklava comes in two different flavours, both freshly made on site – walnut and chia or Nutella and chia. Too hard to choose? Do what we did and order both. A tasty combo of crushed pita, warm chickpeas and tangy yogurt, fatteh is easy to prepare at home and sure to please. 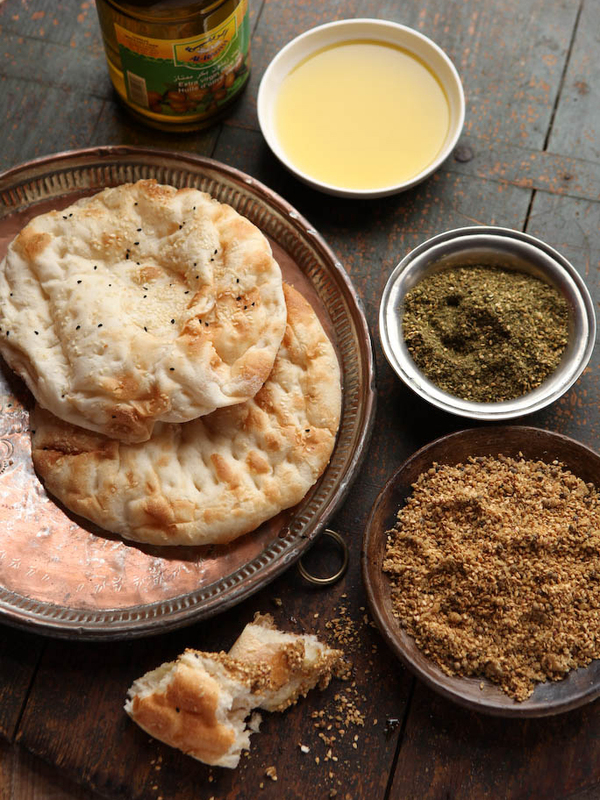 Not sure where to find some of the ingredients for your Middle Eastern feast? Oasis Bakery can help you with that thanks to their bountiful grocery section. Spices, nuts, legumes, dips – you name it, they've got it. Reason #327 why we love Middle Eastern cooking: halloumi, one of our most beloved types of cheese, is used pretty much everywhere. Add it as a breakfast side, toss it in a salad, have it as a starter pre-dinner, or even just scoff a plate of it by yourself (errr, that's what we do). From halva to Turkish delight, pistachio to rose water, and everything in between, traditional Middle Eastern ice cream flavours are too hard to resist. Once you try one of Oasis Bakery's Lebanese jams, you'll never want boring old strawberry on your toast ever again. Their grocery section stocks all sorts of flavours – think walnut, fig, chestnut, orange blossom and more. Oh how we love meatballs, and more specifically Lebanese meatballs, which are more commonly referred to as kafta. A mixture of ground meat, herbs and spices, kafta is a versatile dish that can be mixed in with sauce, eaten as a kebab, wrapped in pita – the list goes on! How do Oasis Bakery make the aforementioned kafta even tastier? Simple – they mix it with halloumi, nuts and berries, and then wrap it in wholemeal pastry to create the Lebanese Sausage Roll. Too. Good. Seriously, try one and every other sausage roll will pale in comparison. The perfect sweet treat to have with your afternoon coffee, mammoul is a traditional shortbread pastry that's filled with crushed pistachos, walnuts and dates. Warning – you may become addicted! If you like your desserts, syrupy sweet then namoura will really hit the spot. A densely packed semolina cake, namoura is drenched with rosewater and orange blossom syrup giving it that sugar hit that the crowds love so much. Can't get into Oasis Bakery to stop up on all your Middle Eastern groceries? Don't fret – they also have an online store stocking all your pantry essentials. If you think pomegranate is just a fancy fruit that pimps up a fruit salad, think again. The seeds are a staple in Middle Eastern cooking, featuring in salads, rice, desserts and more – they add a touch of sweetness and tartness all at once. Want to learn how to use them for yourself? Oasis Bakery are hosting a 'Pomegranate Madness' cooking class in August, which will cover four different recipes. Book in quick, because this will fill up! A great gluten-free alternative to rice, quinoa will be the focus of another of Oasis Bakery's upcoming cooking classes. 'Quinoa Crazy' will teach you how to use this crunchy ancient grain in three different Middle Eastern dishes – stuffed capsicum, tabouli, and rice. Crunchy, crispy and devilishly creamy, the ricotta and jam cigars are one of the most popular desserts at Oasis Bakery and it's not hard to see why! 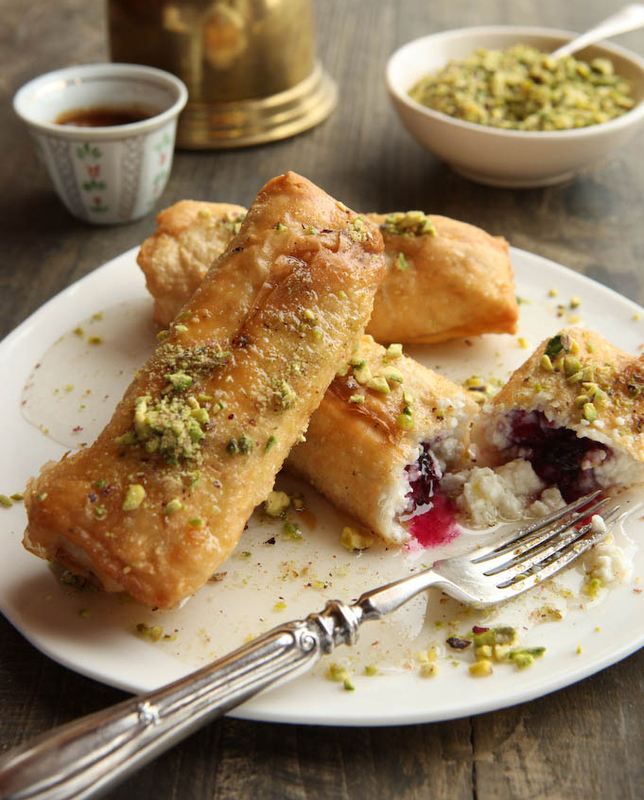 Filo pastry cigars stuffed with ricotta and jam, then topped with sugar syrup and crushed pistachios – ummm, YUM! Sujuk is a semi-dry, spicy sausage that can be eaten on its own or added as a side to your breakfast. Oasis Bakery have added it to their Big Lebanese breakfast, mixed in with foul medammas (a fava bean stew), which is hands down one of the most flavoursome dishes we've tried. A popular Middle Eastern salad made from cracked wheat, chopped tomatos, parsley, mint, lemon juice, and olive oil, tabouli is often served as a side however we can often we find devouring a bowl of it by itself for lunch. Simple, fresh, and so tasty. Ever wondered how and why Turkish coffee is so good? It's all in the utensils – namely the cevze. A copper pot with a thin neck and wide base, a cevze is the perfect utensil for brewing this thick, syrupy coffee and easily trumps using any old pot. Stuffed with rice, herbs, parsley, currants and spices, before being drenched in olive oil, vine leaves are one of those finger food dishes where you think you can stop at one, but you really can't. When it comes to warm, comforting winter breakfasts, Oasis Bakery is up there with some of the best. Their Turkish Poached Eggs are a great spin on a traditional breakfast fave, while their Date and Walnut Heaven will satisfy those with a sweet tooth. There's no better eXample of how to master Middle Eastern cooking than the cooking classes at Oasis Bakery. There's an ever-changing roster of classes from quick meals to salads, meats to finger food, and plenty more. Space is limited, and classes often sell out, so make sure you book your seat stat! Yallateef is a brilliant spicy paste (made from nuts, pepper, chilli, herbs, onion and olive oil) that can be used either as marinade or as a condiment with both red and white meat. It's also the name of Oasis Bakery's cookbook, authored by chef and owner Marwa Makool, and containing 85 recipes that cover everything from starters and salads, to mains and desserts. A must for cookbook fans! One of the most versatile spices in Middle Eastern cooking, zaatar is a combination of sumac, thyme, sesame seeds, marjoram, oregano and salt. Sprinkle it on roast veggies, mix it in with rice, use it to cover meat, or just dip some toasted bread in it – whatever you do, your spice rack can't be without it! TUL Note: Today's List Love post is proudly sponsored by Oasis Bakery and endorsed by The Urban List. Our sponsored posts will never be a secret — the List Love seal will be stamped on any sponsored material you see on the site. Thank you for supporting the sponsors who make The Urban List possible.